9th Annual Grand Victorian Tactical at Ringwood Manor - July 18 - 19, 2015 ~ The History Girl! On Saturday, July 18th, and Sunday, July 19th, Ringwood State Park will be transformed into South Africa at the turn of the 20th Century! 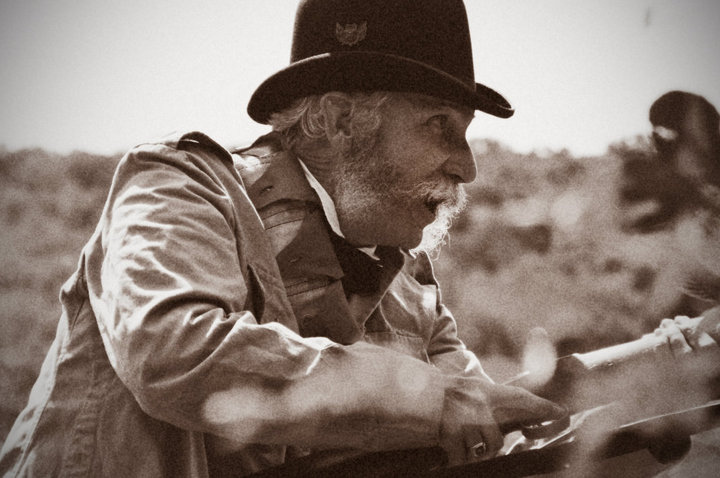 The park is pleased to again be hosting an encampment and skirmishes that reenact the fighting which took place between the British Empire and the Boer settlers during the three-year struggle for control over South Africa. Members of the Royal Sussex Regimental Society, Royal Irish Fusiliers, the Middlesex Regiment, the Royal Highland Regiment, the West Yorkshire Regiment, and the Argyll & Sutherland Highlanders will represent the forces of the British Empire. 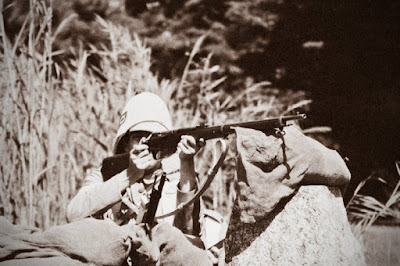 Reenactors from the Pretoria Commando, the Bloemfontein Command, and the Irish Tansvaal Brigade, will portray the opposing Boer settlers, also known as Afrikaaners, of the Transvaal and Orange Free State. A member of the 35th Royal Sussex Regimental Society prepares to fire at the enemy during the Grand Victorian Tactical at Ringwood Manor. Now in its 9th year, the event reenacts the Boer War, fought in South Africa during the 1890s between the British Empire and the Boer settlers. Photo by Paul Jicha. The simulated skirmishes taking place between the Boers and British provide the public with a unique opportunity to see the beginning of modern technological warfare. It was the period when weapons changed from single-shot to rapid-fire and the splendid uniforms which had previously built powerful global empires were retired for more sensible, utilitarian attire. The Boer War was, in a sense, a grim preview of things to come as the 20th century dawned. Visitors are encouraged to visit each camp, talk with the reenactors, and ask questions in between the skirmishes, which are scheduled to take place at 12:00 pm and 3:00 pm on Saturday. Visitors will be able to visit the camps on Sunday, July 20th until 3:00 pm where activities, games, and demonstrations will take place throughout the day on the front lawn of Ringwood Manor. There will also be a war game scheduled for Sunday at 1pm, which will allow visitors to see the eras weaponry in action once again. Civilian reenactors presenting aspects of daily Victorian life will be present both on Saturday and Sunday. Members of the Royal Sussex Regimental Society, a New Jersey/New York based living history group that interpret the military and civilian aspects of the British Empire from King George III to Queen Victoria, started the event in the summer of 2006. It has grown continually from its humble beginnings into the largest annual British Victorian living history even on the East Coast, attracting reenactors from as far away as Maine and Tennessee. A reenactor representing to Boer forces moves quickly up the field at Ringwood Manor during one of the skirmishes during the Grand Victorian Tactical event. Photo by Paul Jicha. This living history event is free of charge. There is, however, a parking fee to enter Ringwood State Park of $5 per car for in-state residents, $7 per car for out-of-state residents. The event is open to all ages, but parents should be aware that young children may be scared by loud firing noises from the reenactors weapons. The event will take place rain or shine. Ringwood Manor will be open to the public for guided tours from 10:00 am - 4:00 pm both days. Tickets to enter Ringwood Manor are $3 for adults, $1 for children ages 6-12, and children 5 and under are free. The Royal Sussex Regimental Society living history event is sponsored by Ringwood State Park and the New Jersey Division of Parks & Forestry. For more information on the Royal Sussex, please visit their website at www.royalsussex.org. For information about Ringwood Manor and upcoming events please call 973-962-2240 or visit www.ringwoodmanor.org.